Protecting oral health at a young age is an essential part of making sure your mouth stays healthy by the time you reach old age. To do this, parents must help their children establish a good oral care routine at home. However, they also need to bring their child to the dentist on a regular basis. This is the best way to maintain their oral health, educate them on healthy habits, and catch early signs of issues before they have the chance to develop and cause harm. Our dentists love working with children and helping them catch cavities, gum disease and misaligned teeth and bites. Contact our office to get them scheduled! According to the American Dental Association, it’s recommended that you bring your child in either within six months of their first tooth erupting or by their first birthday. Even if no teeth have erupted yet, the dentist can still examine their gums and oral structures. 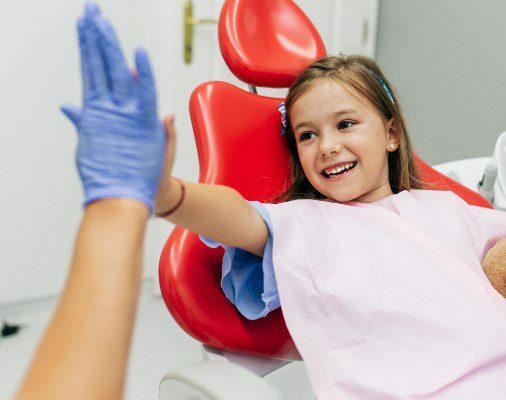 Keep in mind that a majority of the visit is intended to be a conversation between you and the dentist, not necessarily an extensive examination for your child. While the exam is important, it’s only a minor part of the visit. 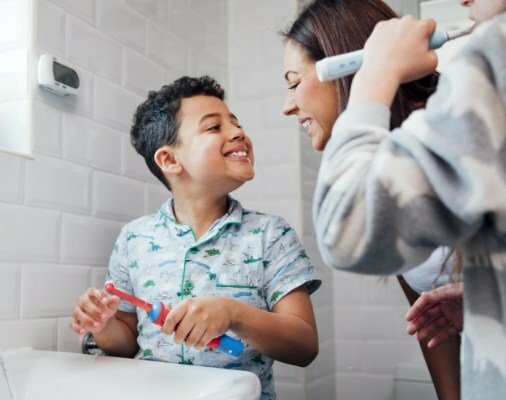 Much of it allows time to ask questions, learn about proper at-home care, and consider treatments that can reduce your child’s risk of cavities. Brushing should be done twice a day and done with a kid’s toothbrush and fluoridated toothpaste. Once teeth erupt, they can begin developing decay, so use a toothbrush specifically for cleaning your infant’s or toddler’s mouth. Begin flossing once a day as soon as two teeth touch. From ages three to six, use only a rice grain-sized amount of toothpaste to clean teeth. By the age of six, you can start using a pea-sized amount from now on. A child receiving dental sealants. Dental sealants use composite resin to protect the most vulnerable areas of teeth. 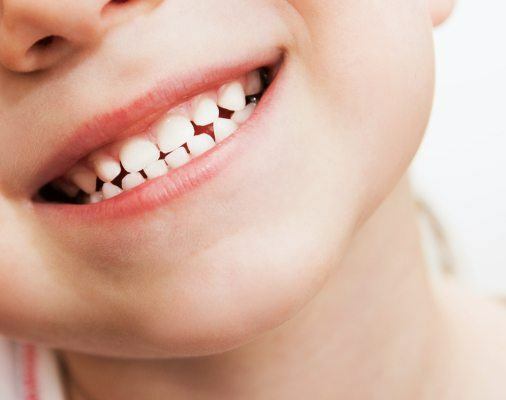 These include teeth with deep pits and grooves, such as the molars and premolars. They are proven to be incredibly effective at reducing tooth decay in children, but can also be utilized by adults highly susceptible to decay. With proper at-home care, sealants can last as long as 10 years. Fluoride treatments not only protect teeth, but strengthen existing enamel. They typically come in either a gel, foam or varnish and carry a much higher strength than what you would find in over-the-counter toothpastes and mouth rinses. Dentists will typically recommend a varnish once a year, but this can largely depend on your child’s risk for decay. Protecting your child’s oral health starts by contact our office and scheduling an appointment. We can’t wait to make your child feel as comfortable as possible during their first visit.